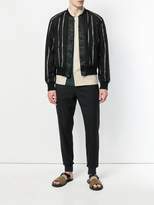 Phillip Lim continues to rethink the way he conceives menswear this season. 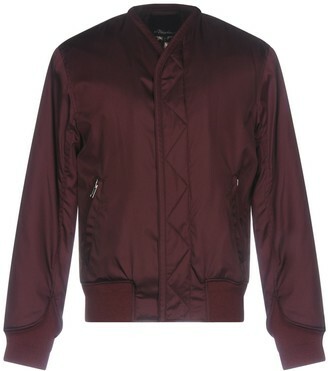 By blending fashion and functionality, 3.1 Phillip Lim’s latest collection is undeniably appealing. 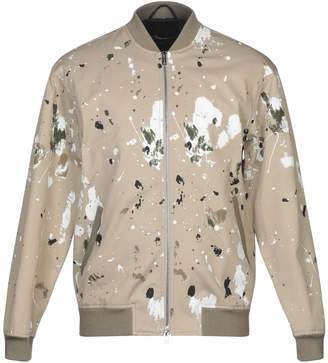 From classic white T-shirts to eye-catching paint-splattered workwear, Lim is surely at his best. 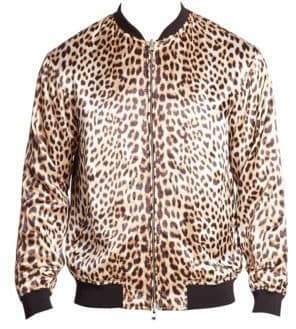 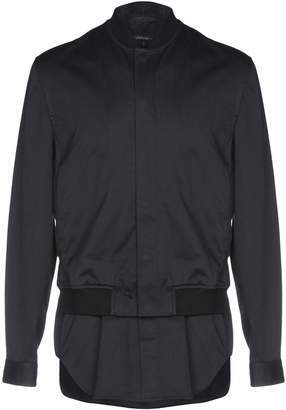 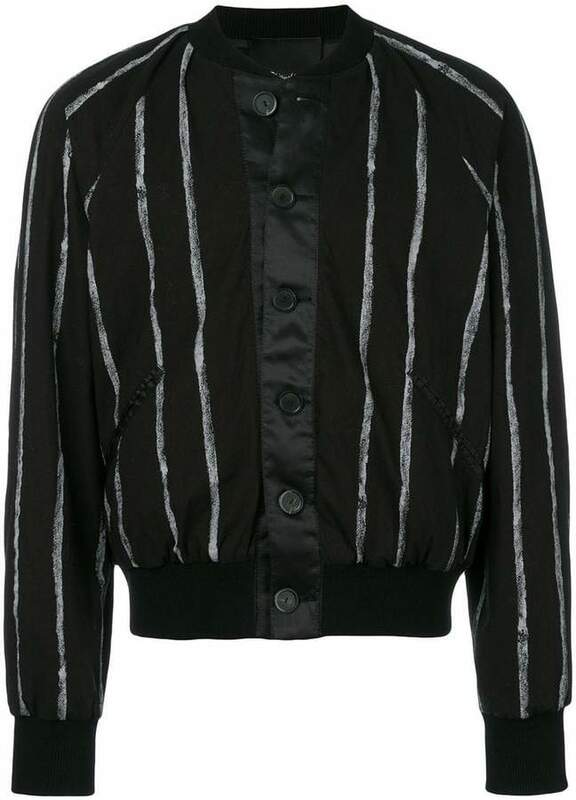 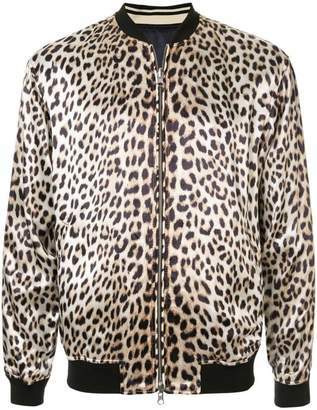 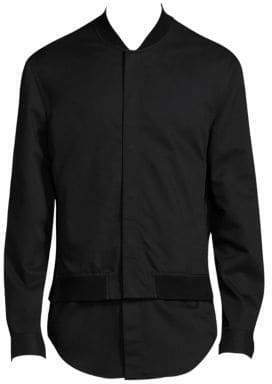 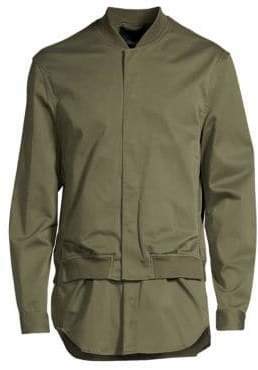 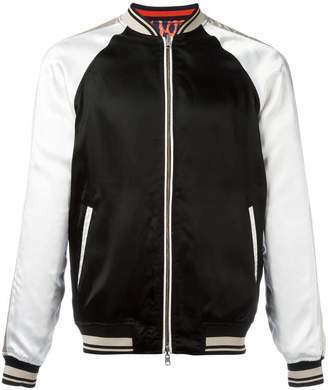 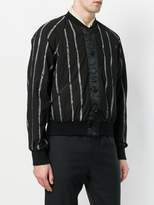 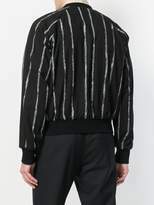 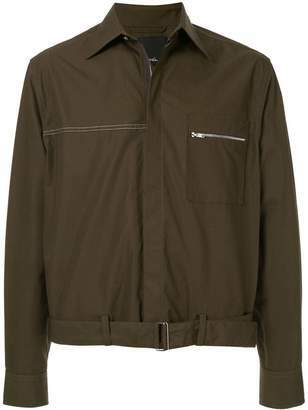 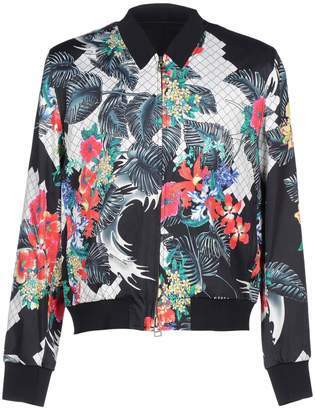 This black cotton long sleeve bomber jacket from 3.1 Phillip Lim features a ribbed stand up collar, a front button fastening, long sleeves, a ribbed hem and cuffs, a straight hem, two front pockets and graphic paint streaks all over.